Why a RAM AIR FOIL KITE? This is the first question that any kiteboarder that has not experienced the pure benefits of a perfectly tuned and pressurized foil kite would ask. Unmatched upwind performance, light wind stability and downwind control highlights the benefits of a ram air foil and the Liquid Force Elite. The Liquid Force design team set out to make a kite that not only perfectly compliments aspects of kiting with a hydrofoil to reaching untracked snow fields, but also gives the rider an easy to use and seamless transition from a traditional inflatable LE kite to the technical advantages of the Liquid Force Elite. With the assistance of renowned foil kite designer Benoit Tremblay, the LF Elite has been designed for fast and easy pressurization through the unique Double Barrel air intake ports and a baffle system that increases air cell communication. This is considered a closed cell ram air system that is stable and offers increased time for a water relaunch. 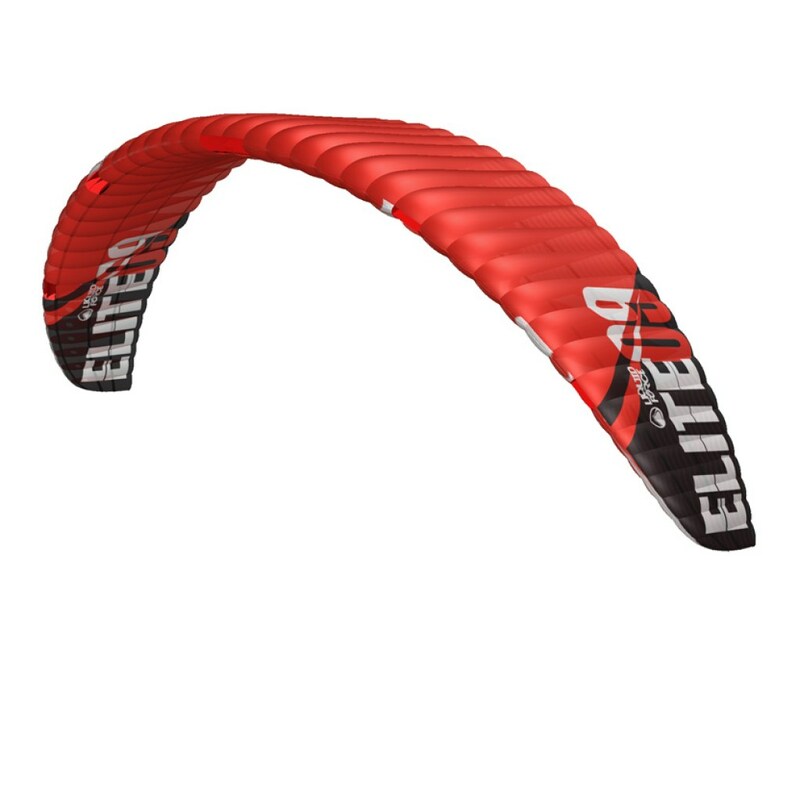 Designed to fly on any equal 4 line kite bar, the Elite is versatile for any conditions across water and snow.